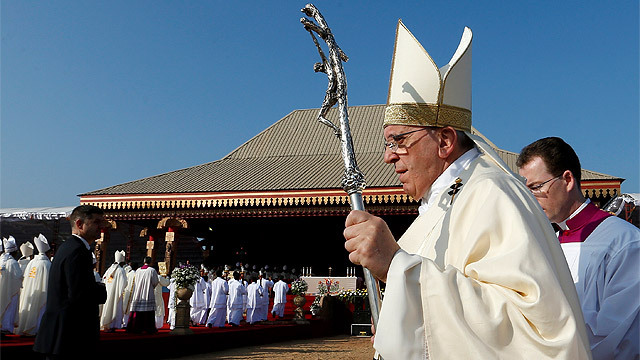 On Wednesday, January 14, 2015, Pope Francis presided over the Canonization Mass of St. Joseph Vaz, Apostole of Sri Lanka, in Colombo. Below you will find the Holy Father's homily, along with a thank you address by Cardinal Malcolm Ranjith, Archbishop of Colombo. A priest of the Oratory in his native Goa, Saint Joseph Vaz came to this country inspired by missionary zeal and a great love of its people. Because of religious persecution, he dressed as a beggar, performing his priestly duties in secret meetings of the faithful, often at night. 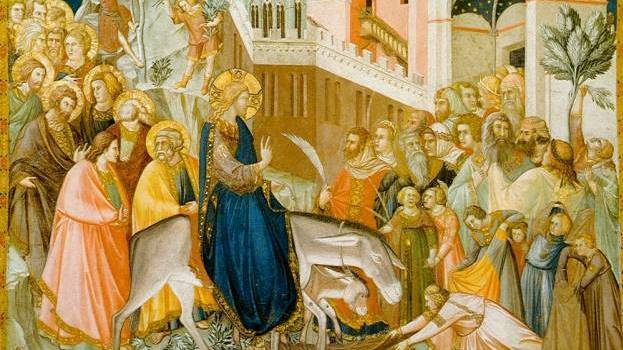 His efforts provided spiritual and moral strength to the beleaguered Catholic population. He had a particular desire to serve the ill and suffering. His ministry to the sick was so appreciated by the king during a smallpox epidemic in Kandy that he was allowed greater freedom to minister. From Kandy, he could reach out to other parts of the island. He spent himself in missionary work and died, exhausted, at the age of fifty-nine, revered for his holiness. Saint Joseph Vaz continues to be an example and a teacher for many reasons, but I would like to focus on three. First, he was an exemplary priest. Here today with us are many priests and religious, both men and women, who, like Joseph Vaz, are consecrated to the service of God and neighbour. I encourage each of you to look to Saint Joseph as a sure guide. He teaches us how to go out to the peripheries, to make Jesus Christ everywhere known and loved. He is also an example of patient suffering in the cause of the Gospel, of obedience to our superiors, of loving care for the Church of God (cf. Acts 20:28). Like ourselves, Saint Joseph Vaz lived in a period of rapid and profound transformation; Catholics were a minority, and often divided within; there was occasional hostility, even persecution, from without. And yet, because he was constantly united with the crucified Lord in prayer, he could become for all people a living icon of God’s mercy and reconciling love. It is with great joy and feelings of filial affection that we the citizens of Sri Lanka and members of the Catholic Church welcome you today into our midst. 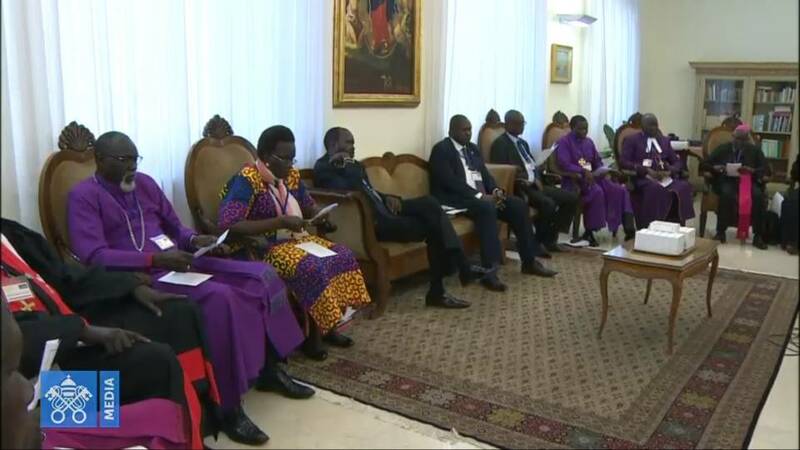 I am sure that by now you have had the opportunity to experience the simple and genuine faith of our people and the loving sense of loyalty and respect with which they have surrounded you from the moment Your Holiness touched our soil. In this I must say that joining the millions of your admirers in the world, our own people, Sri Lankans of every religion, race and social colour have welcomed this pastoral visit of yours to our beautiful little island home with deep respect and love. What is more, over and above the gift of your presence on this soil, you have given us the gift of a Saint: Saint Joseph Vaz. That gift makes us truly happy, for Sri Lanka has now its own saint, the pride of Goa and God's precious gem for Sri Lanka. We thank you for this most precious gift whose life and service here in his adoptive land, saved the faith of the Catholics during a difficult and painful period of their history and left a lasting legacy to the unending love of God for us. God truly inspired this holy man to give up his own beloved homeland and people and to launch out into the unknown, like Abraham, and to single handedly revive the faith of our ancestors. 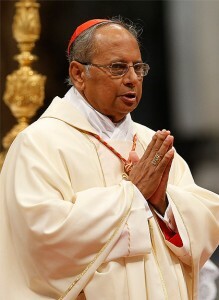 We thank the Church in Goa for this precious gift of their son to us. There are infact many who have come to join us today from this lively Church along with their patriarch and we welcome them too with grateful hearts. Your Holiness, Sri Lanka as you mentioned in your speech to us on the 8th February last year at St. Peter's Basilica in Rome, is "called the pearl of the Indian ocean on account of its natural beauty and its shape, the pearl being the shape of a tear". And pearls are indeed formed as you mentioned on a tear of an oyster. In the recent past we have shed many tears on account of the internal conflict that caused so many victims and drained away our resources. We are still struggling to rise up from that sad past and to usher in a time of true reconciliation, peace and progress for our people. The journey is difficult. We need your prayers and blessings as well as your paternal guidance. Indeed on that occasion you did promise us your prayers and we thank you for that. We call upon you to kindly help us in that search - for a true healing of hearts, the strength to ask pardon from each other for the senseless violence unleashed then, to forgive and forget that sad past and to arrive at a process of a give and take that will build bridges of understanding between the parties hurt in the conflict. We are still far away from reaching that goal. We hope and pray that your august figure which teaches us the sublime ways of religion to overcome such hurdles, will help us to reach out to one another. We call upon our beloved Saint Joseph Vaz to intercede for us in heaven so that Sri Lanka maybe able to achieve the miracle of peace soon and may be able to reach out to the goal of true progress and happiness for all its people irrespective of all our differences. Holy Father, our nation blessed by the teachings of the great world religions, Buddhism, Hinduism, Islam and Christianity does posses the moral and spiritual strength and nobility needed to generate such peace but we will all need to make that leap towards each other with a genuine spirit of reconciliation, trust and a sense of reciprocity. Holy Father do bless us in this resolve. We thank you for your presence among us and call upon you to impart your paternal and apostolic blessing on Sri Lanka, our beloved and beautiful home and on all its people. Thank you.